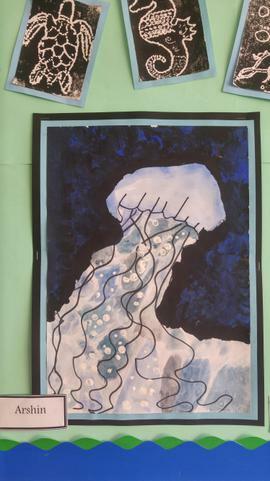 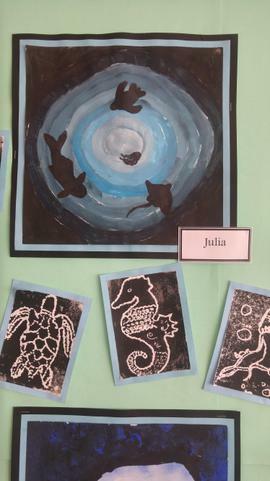 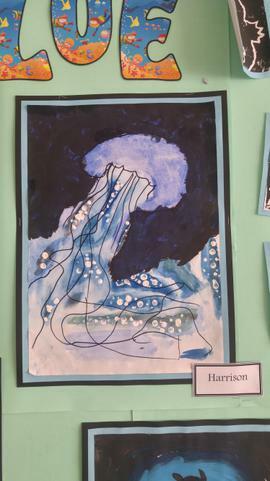 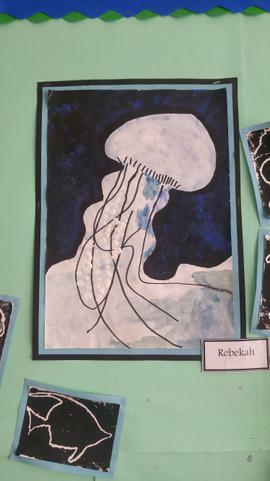 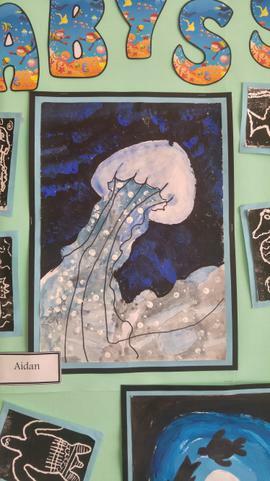 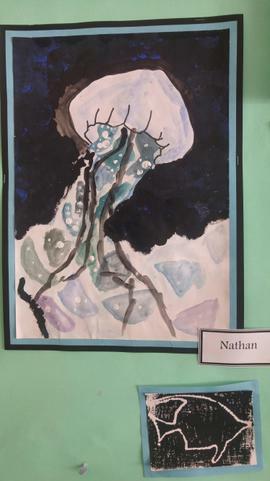 The focus for this topic is art, so we have been busy creating many sea inspired pieces of art work. 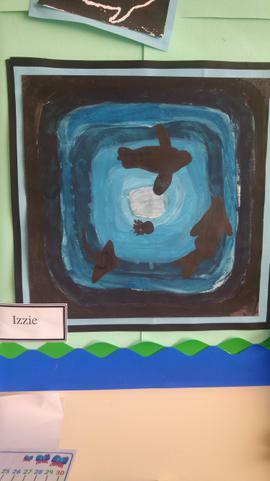 We have been focusing on our mixing and blending skills. 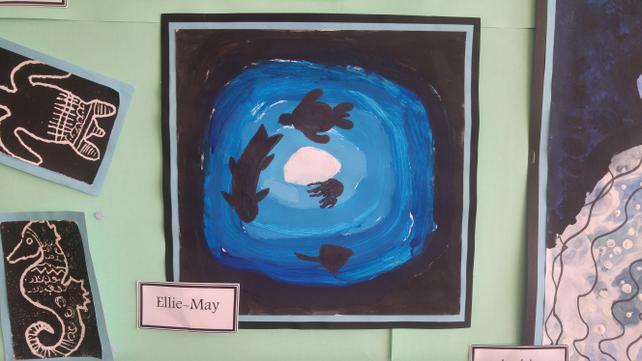 When creating watery landscapes we were only given three colours; blue, white and black. 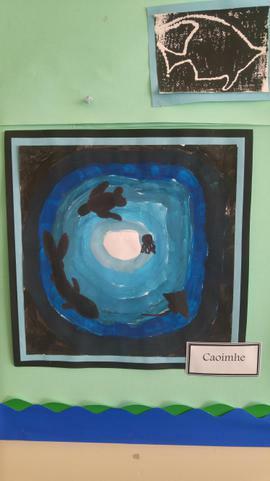 We had to mix these colours to generate a multitude of tones. 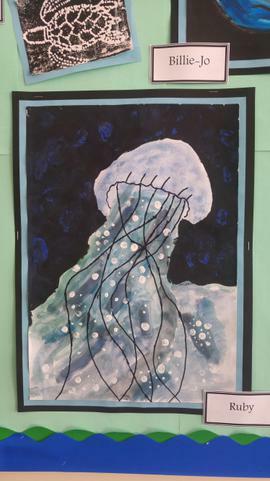 Here are some of the great pieces of art class 3 have made! 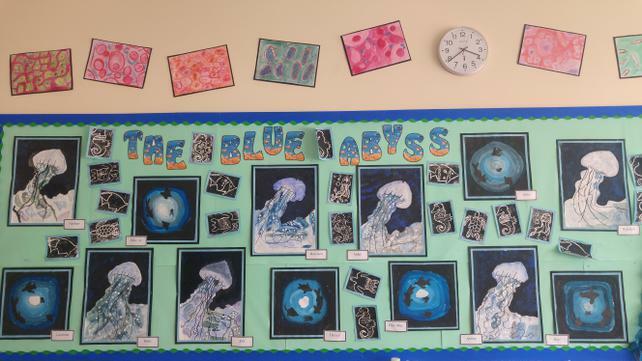 We have started our new topic, the blue abyss! 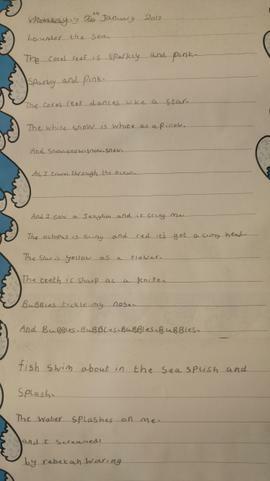 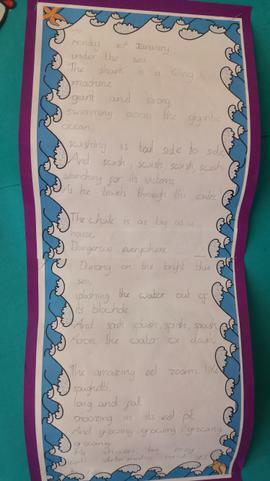 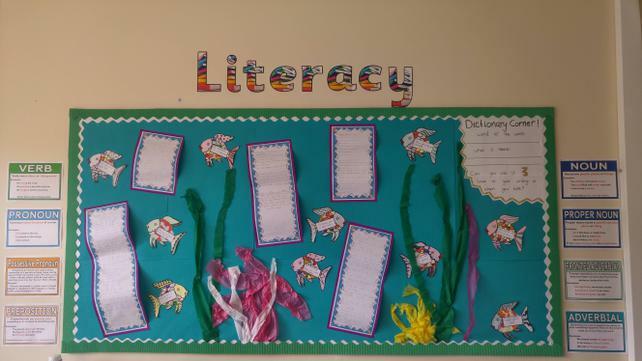 In Literacy we have been looking at poetry based on life under the sea. 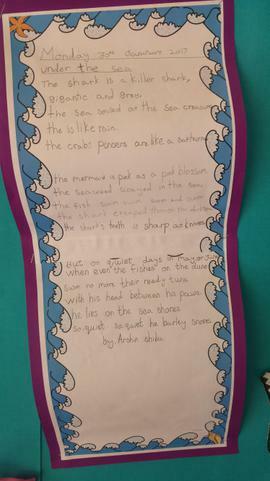 We have looked at some poems by different authors, put actions to a poem and even written our own aquatic poems! 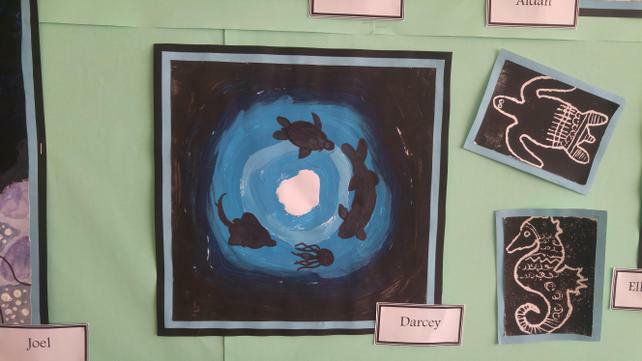 In geography we have been learning about continents and oceans. 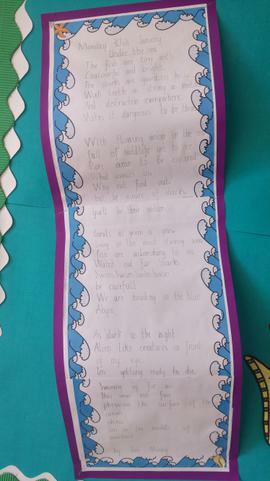 We have learned that there are five oceans and seven continents. 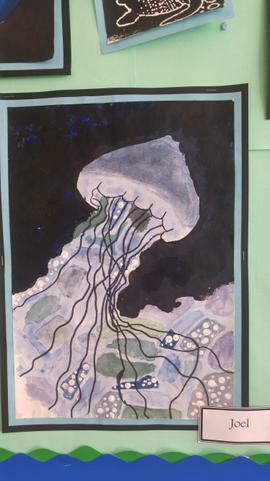 Did you know that the Pacific ocean is so big that there is an angle from space where you can only see the Pacific ocean and not any land at all? 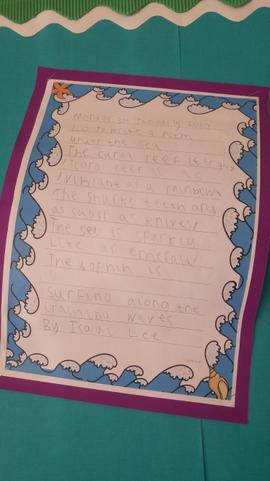 We have had a great time in numeracy using our knowledge of co-ordinates to read treasure maps! 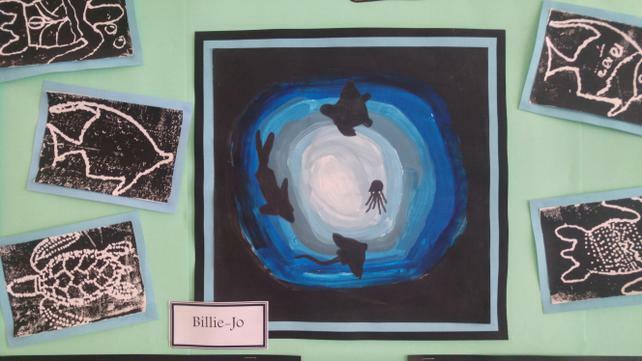 We even had a go at plotting co-ordinates to draw shapes.